Area residents won’t have to venture far this winter to enjoy a meal out. The Tern Grille, located in the heart of the community at Ocean Pines Golf Club, is now open on weekends for drinks and casual dining. The opening of the Tern Grille coincides with the closure of The Cove at Mumford’s, preserving a dining option right in Ocean Pines. Prime rib is offered every Friday and includes prime rib, au jus, a baked potato and vegetable. The price is $14.99 for 12 ounces of prime rib and $18.99 for 16 ounces. A breakfast buffet, served Sundays from 9 a.m. – noon, is $12.99 for adults and $7.99 for children and includes a variety of traditional breakfast favorites including scrambled eggs, potatoes and onions, French toast, pancakes, bacon and sausage, sausage gravy and biscuits and an omelet and waffle station. Bloody Mary and mimosa drink specials are also available. After undergoing an extensive expansion and renovation in 2017, the Tern Grille has ample table and bar seating and sweeping views of the golf course’s picturesque 18th hole. The restaurant’s ten televisions will be available for football viewing, and food and drink specials will be offered in conjunction with the playoff games. Click here to view the winter Tern Grille menu. 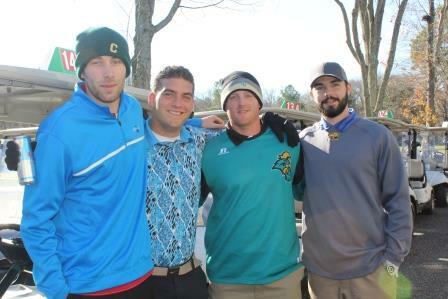 Area golfers enjoyed golf and holiday cheer at the Santa’s Open Charity Golf Tournament, held on Saturday, Dec. 2 at Ocean Pines Golf Club. The event, which celebrated its 25th anniversary this year, raised over $8,600 for Big Brothers Big Sisters of the Eastern Shore and collected a variety of gifts for area children in need. 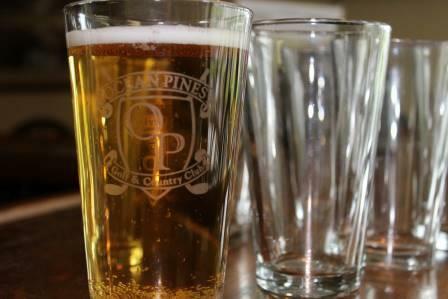 This year marks the fifth consecutive year the Santa’s Open has been held at Ocean Pines. Ocean Pines Golf Club PGA Director of Golf John Malinowski was instrumental in bringing the annual tournament to the course. Presented by title sponsor Delmarva Power, this year’s event saw close to 90 golfers and numerous area businesses participate. Four-person teams competed for first-, second- and third-place low gross; first-, second- and third-place low net and closest to the pin. Awards were presented at a reception ceremony at the Tern Grille at Ocean Pines Golf Club following the tournament. 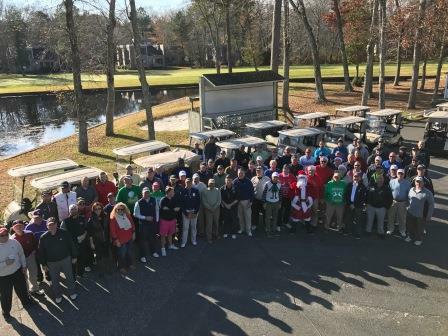 Area golfers can enjoy golf, fun and holiday cheer at the 25th annual Santa’s Open golf tournament to benefit Big Brothers Big Sisters of the Eastern Shore on Saturday, Dec. 2 at Ocean Pines Golf Club. The fee per golfer is $75 if registration is received by Nov. 27 or $85 at the door. The fee includes 18 holes of golf, cart, breakfast, contests, golfer gift and post-tournament reception. Each golfer is also asked to bring a new, unwrapped gift for a child ages 7-17. What started out 12 years ago as a fun afternoon of golf for local players has evolved into an annual event that has raised over $20,000 for charitable organizations. 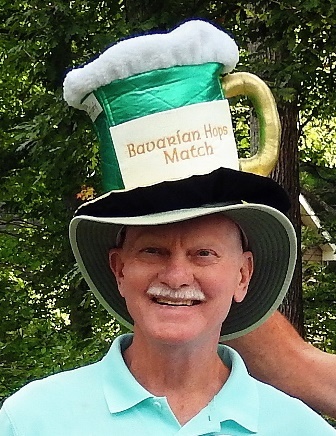 A much-anticipated tournament at Ocean Pines Golf Club, the Bavarian Hops Match – or the “beer match” to its many enthusiastic supporters – was the brainchild of Ocean Pines golf member and resident Ernie Stiles, who wanted to introduce a fun event at the course similar to some he had experienced up north. “The whole intention was just to have fun with it,” Stiles said. He said he wanted players to enjoy some beer, play some golf and “bust and heckle” each other. 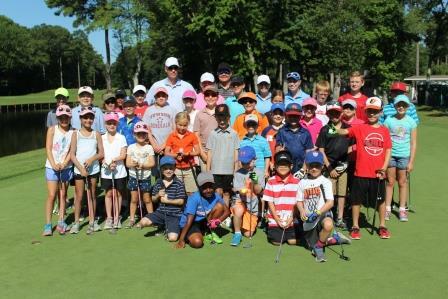 Junior golf continues to grow at Ocean Pines Golf Club, where record-breaking participation and support from local organizations this past year has meant that more young golfers are enjoying the sport than ever before. The cornerstone of the junior golf program – summer golf camp – has continued to grow over the past five years. The camp’s blend of instruction, food and fun has paid off. This past summer, 131 golfers participated in four sessions of the four-day camps, the most ever. In fact, all four sessions sold out. Ocean Pines Golf Club also offers junior clinics in the fall and spring. The clinics have also proven popular, necessitating additional sessions to accommodate the demand. Ocean Pines PGA Director of Golf John Malinowski said he’s seen a change in the people participating in junior golf programs. “I’ve noticed that more parents are signing kids up for clinics and camps because they’re excited about seeing them involved in golf itself, not just because they’re looking for a summer activity,” he said. The rise in junior participation at the course has created a need for more equipment, something that local golf groups have been eager to support.